In the last few weeks we’ve covered how #AwesomeAdmins can learn, give back, and get connected at Dreamforce ’18. You know about the #AwesomeAdmin keynote on September 25 at 11 a.m., the Admin track, and that the Admin Meadow is your home base during DF18. Plus, you learned that you can connect with speakers, break the ice while networking, and pay it forward in the Trailhead Zone. 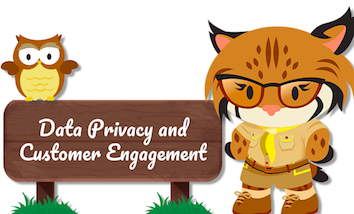 Now, we’re jumping headfirst into the good stuff—how #AwesomeAdmins can have fun at Dreamforce! Tuesday 9/25: Get Your Dancing Shoes on for the #AwesomeAdminChallenge! Let’s face it – life is better when you dance! 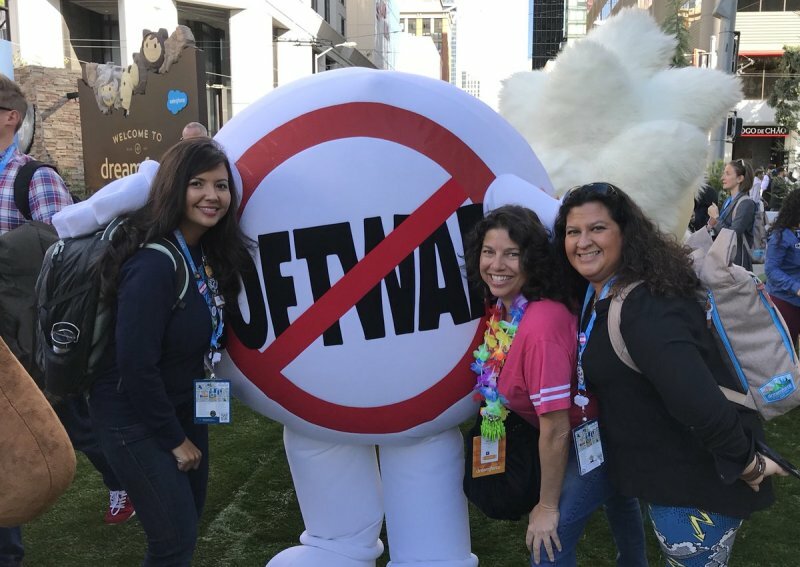 That’s why we’re inviting all #AwesomeAdmins to take part in a special dance challenge guaranteed to get you movin’ and shakin’ and ready to bring the energy at Dreamforce! It’s as easy as 1-2-3 to get involved in the challenge! First, learn the dance moves! Second, share a video of the dance! And third, nominate 3 #AwesomeAdmins to take the challenge! To get you pumped up for the challenge, the team here at Salesforce HQ made a fun video of us all doing the dance – check it out! STEP 1: LEARN THE DANCE MOVES! There’s 4 dance moves to learn as part of the dance, and we’ve created some fun gifs to help you learn them! Just remember everything starts from the left and you’re set! STEP 2: SHARE A VIDEO OF THE DANCE! Share a short video of you doing the dance at your desk or out with friends using the hashtag #AwesomeAdminChallenge. You can find the song on Soundcloud: #AwesomeAdmin Challenge. STEP 3: NOMINATE 3 #AWESOMEADMINS TO TAKE THE CHALLENGE! Once you’ve completed the challenge, go ahead and nominate 3 other #AwesomeAdmins to get up and dance! So, go on, get your dancin’ shoes on and dance like no-one’s watching for the #AwesomeAdminChallenge! Think you can lip sync better than Jimmy Fallon, Bryan James, and Adam Olshansky? PROVE IT! 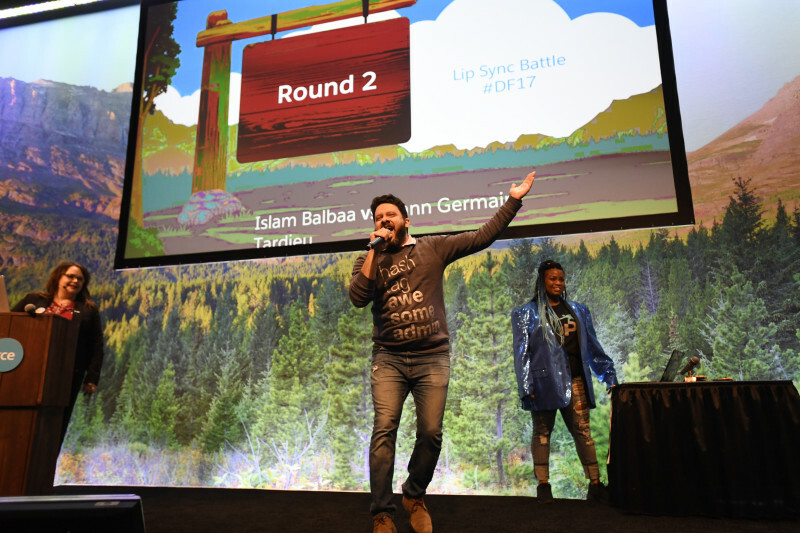 Join us in the Admin Meadow to close out your first day at Dreamforce with a lip sync battle like you’ve never seen before. 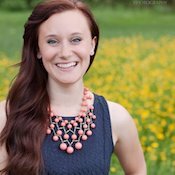 Back for the third year in a row, and hosted by Shonnah Hughes, Amy Oplinger, and Mary Scotton you won’t want to miss this action-packed session. Grab a seat at 5:30 p.m., and be prepared to be wow-ed! Directly following Tuesday’s #AwesomeAdmin Lip Sync Battle, there will be karaoke in the Admin Theater. Pick out your go-to karaoke song, and show off those pipes. We keep this fun session going until 7:50 p.m. so there is plenty of time to rock out and have a good time with your fellow #AwesomeAdmins. And be sure to join us on Thursday evening from 5:30-5:50 p.m. for another karaoke session in the Admin Theater. It’s a quick, fun way to close out your Thursday! For the first time ever, we’re asking the Admin #Ohana just how well they know one another with a friendly game of #AwesomeAdmin Ohana Feud. Similar to the popular TV game show, our lunchtime session will run the same way. 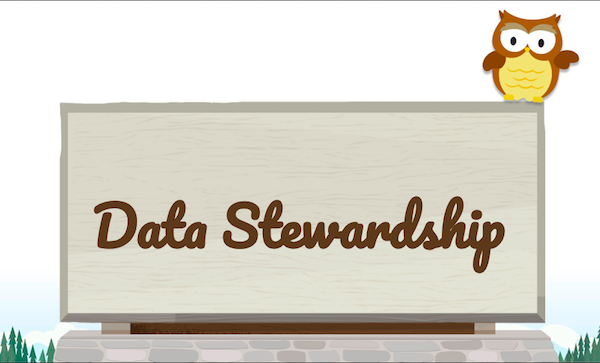 Except this time, all the questions are about #AwesomeAdmins and Salesforce. There are two chances to catch all the action and wit of #AwesomeAdmin Ohana Feud on both Wednesday and Thursday at noon. Last but not least, snap a fun photo while you’re on site in the Admin Meadow then share it on Twitter with the hashtag #AwesomeAdmin for a chance to win a daily prize! We’ll be showing off your #AwesomeAdmin tweets on the social monitors in the Admin Meadow all week long, and if you’re sharing from right there on the Dreamforce campus, you’ll be entered to win. Don’t forget to watch our Twitter handle for the official rules. And if you’re a remote attendee, follow along with us on Facebook Live and Twitter for live-streaming fun all week long! A live-streaming schedule is coming soon to social media and the Trailblazer Community. We’ll be sure to notify you as soon as it is live. We can’t wait to see you in-person and online next week, #AwesomeAdmins! The fun begins bright and early on Tuesday, 9/25 and quickly ramps up with the Admin Keynote at 11 a.m. in Moscone West—don’t miss it! And don’t forget to join us in the Dreamforce for Admins Trailblazer Chatter Group to share your adventures.